Hotel Shyam is a beautiful hotel that is established in the center of Almora city and offers splendid views to lofty Himalayan range. The hotel endeavors to provide best quality services to customers at most affordable cost. It is a budgeted hotel that offers all sort of modern amenities and facilities a customer is seeking for. All the rooms are well-organized with different beautiful designs and colored walls. The room facilities encompass several important services as in attached wash rooms, running hot and cold water, telephone, cable connection and well-organized room. Hotel Shyam offers all complete chance to guest to relax and rejuvenate in hassle-free and stress-free ambience. The hotel is geographically located in the main market area is at a walking distance away from the main bus depot and taxi stand. 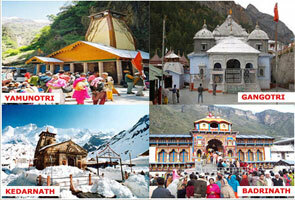 The hotel lies in the vicinity to Nanda Devi Temple. The hotel has 20 rooms altogether. 18 rooms are double bed room out of which 2 rooms are four bedded rooms. The hotel has a dormitory for travelers. All the rooms are elegantly designed and ensure comfortable stay of the guests here. 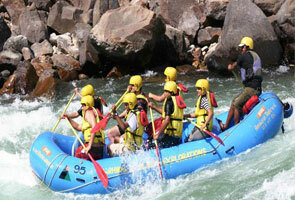 All the rooms are neat and clean and well-maintained with sanitized wash rooms. The hotel is an in-house restaurant that offers sumptuous multi-cuisine meals. The restaurant offers amazing and wonderful views to Kumaon hills and adds to one’s mesmerizing experience. 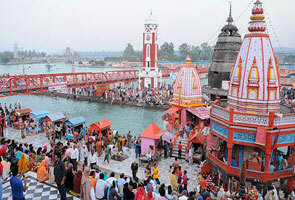 The nearest airport facility at Almora is Pantnagar airport that is located at a distance of 127kms. The closest railway station to Almora is Kathgodam station. One can easily avail a bus or taxi from the venue. The city is best connected to prominent cities of the country as Delhi - 380 kms, Nainital-66kms, Ranikhet-45kms, Chaukori-100kms. 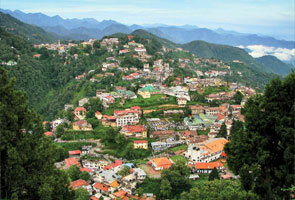 Private taxis and buses are available for Hotel Shyam from Almora.